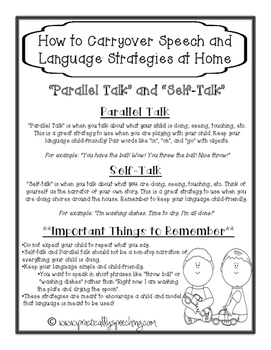 I created this parent handout to familiarize my parents with what I'm doing and to emphasize effective carryover. I like to say "I build the house, you do the decorating" - meaning I'm going to set up the foundation and now the job is yours to carryover the skills on the daily. You can download the first handout in this series for FREE on TpT by clicking HERE.